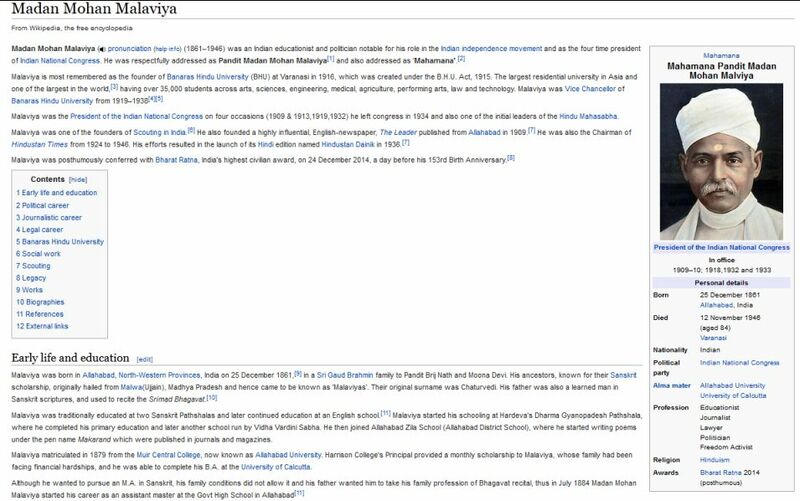 Will you tell me what is the relation between Banaras Hindu University and Pandit Madan Mohan Malviya? Banaras Hindu University Varanasi, Uttar Pradesh was established in the year 1916 by Pandit Madan Mohan Malviya. Pt Madan Mohan Malaviya was born on 25th December 1861. Malaviya complete primary education at Gyanopadesh Pathshala. Later he join school run by Vidha Vardini Sabha. After that joined Allahabad Zila School. Malaviya matriculated in 1879 from the Muir Central College. Malaviya complete his B.A. at the University of Calcutta.